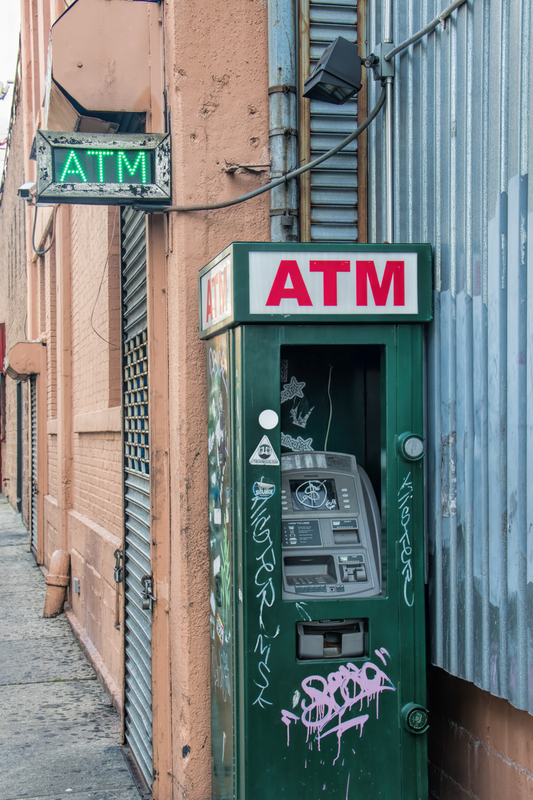 If you're really, really, desperate for cash (perhaps because someone is pointing a weapon at you) here's a convenient ATM on one of the not-quite gentrified streets of Hell's Kitchen. I'm leaving at dawn tomorrow (assuming I remember to bring my wallet this time) for Oregon and a weekend of eclipse-related activities, followed by some time relaxing with friends in California. Blogging will probably be sporadic until I'm home again.